Are you planning a trip to San Francisco in April? It's a great time to visit! In this guide, you will find everything you need for your trip including details on what to expect from the weather and tips on what to wear while you are here. 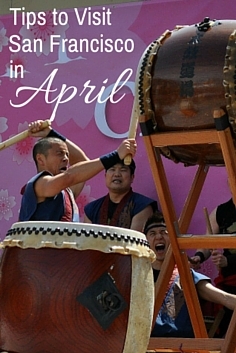 This month, you will find several fun annual events including the Cherry Blossom Festival, the SF Independent Film Festival, and the Opening Day on the Bay too. 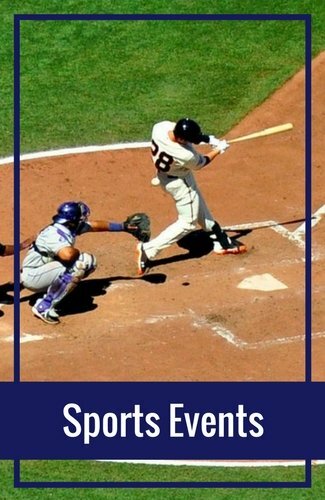 It's also the start of the SF Giants Baseball season, a great time to visit the blossoming Botanical Gardens, and the perfect weather for a cruise around the SF Bay. The weather in April is mild and cool. You will find temperatures during the day in the mid-60s. At night, it dips down into the upper 50s. I often wear layers in April. You will find that the temperature can vary by about 10 degrees during the day depending on which part of SF you are visiting. If you plan on taking a bay cruise, you will find that it's cooler on the water and you will need your jacket. Don't be fooled by the warm temps on land as the wind will cool you down quite a bit as you cruise around the SF Bay. I typically wear a light shirt or T-shirt and carry a light jacket or sweater (one I can wrap around my waist). I typically put on and take off my jacket several times throughout the day. My April events calendar will give you the dates and exact details for all events this month. 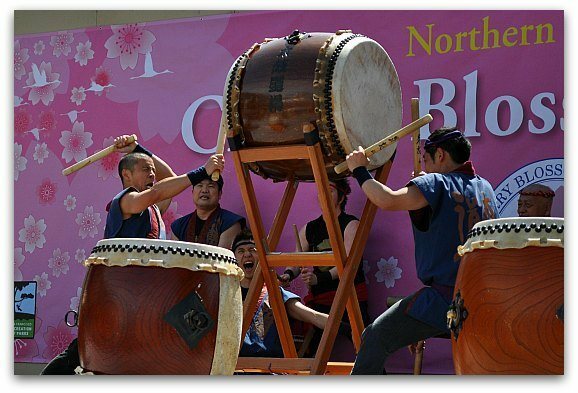 You can find out more about the Cherry Blossom Festival, what's playing during this month's film festivals, and discover information for the free Bay Area Dance Week performances. In San Francisco in April, you will find dozens of concerts. SF is home to several medium to small venues that bring in world class performers from around the world. You will also find many up and coming acts, as well as popular local bands. One of the top places to stay in San Francisco is in Fisherman's Wharf. This district is near the waterfront and perfect for those that want to spend some time on the water. Here are some of the top recommendations. April is a great month to head out on an SF Bay cruise. 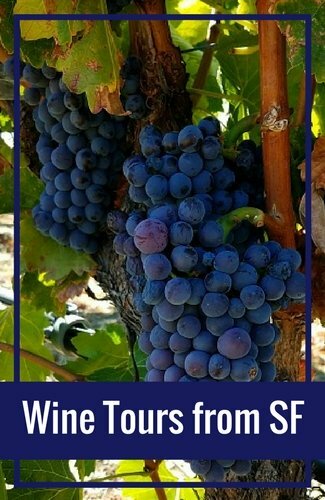 You will also find several other fun tours this month too including guided walking tours, food tours, and whale watching cruises. In addition, you can head north to wine country or head south to Monterey and Carmel. 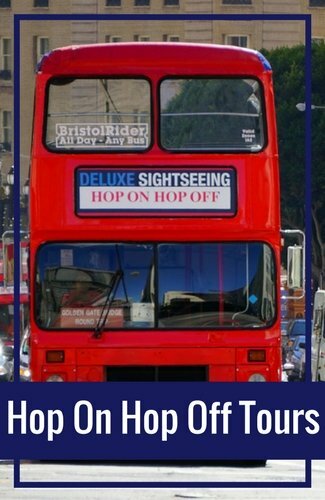 Here are a few of the best tour options. You will find several Broadway shows in San Francisco in April. SF has several theaters. You will find large productions such as Wicked, the Book of Mormon, and the Lion King. 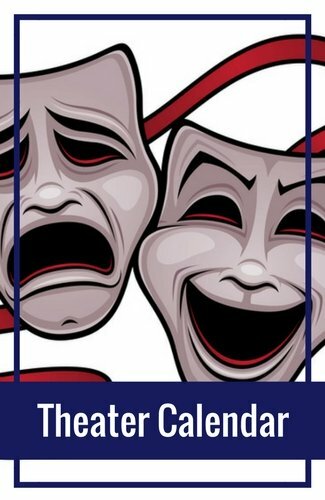 You will also find small, local productions at several intimate venues. Before you book any tickets, make sure to check out the deals on Goldstar. They offer tickets at up to 50% off the full retail price. It's a great way to save on tours, the theater, and other fun activities in San Francisco in April. Here are just a few of their current offers. If you are visiting SF for the first time, then you must visit Alcatraz. This former federal prison was home to many famous criminals including Al Capone, Robert "The Birdman" Stroud, and the Anglin Brothers. In April, you will need to book your tickets early as they often sell out. You are able to book them 90 days in advance. 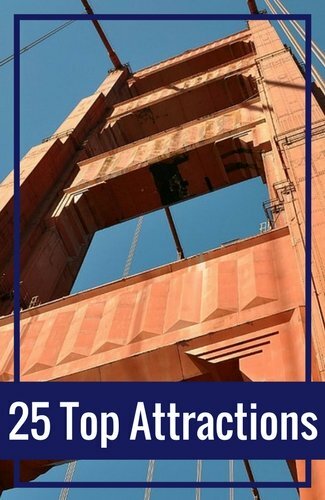 In addition the Alcatraz, there are several other top attractions to visit. They include the California Academy of Sciences, the Golden Gate Bridge, and the Aquarium of the Bay. Many people also enjoy the Exploratorium, the Palace of Fine Arts, and Lombard Street. The great part is that some of these are free. For others, you can buy your tickets in advance so you don't have to wait in line when you arrive. The SF Giants baseball team opens their regular season play at Oracle Park (formerly AT&T Park) in April. They typically play around 10 home games in April against teams such as the Colorado Rockies, the Toronto Blue Jays, and the Chicago Cubs. In April, you will find several opportunities to visit SF's museums for free. Many offer free days toward the beginning of the month. It's a great way to save on your visits to the Asian Art Museum, the de Young, and the Conservatory of Flowers. In San Francisco in April, you will also find some great traveling exhibits at SF's top museums. 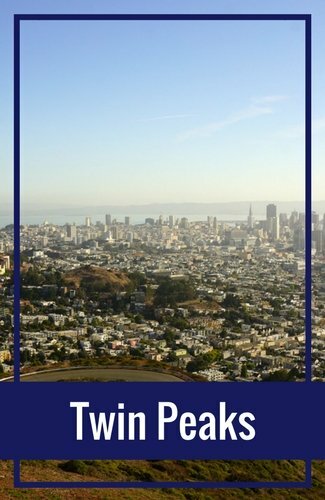 My schedule includes details for top museums such as the Legion of Honor, the Contemporary Jewish Museum, and the San Francisco Museum of Modern Art. 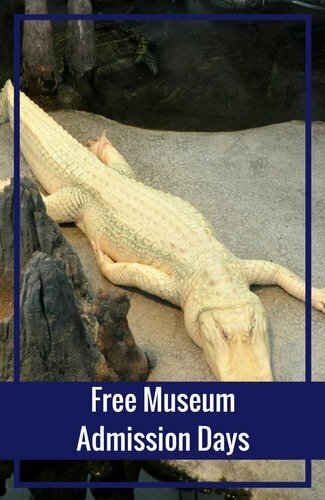 One of the things I love about SF is that we have many free attractions, museums, and events. The SF Public Library and SF City Guides also offer free walking tours every day of the week! Click the link below for an entire list of free activities in SF. SF is also a food lovers paradise. The city has more than 3,500 restaurants! That's right, you will never run out of places to eat. To help you get started with planning, I've pulled together lists of some of the best places to dine. You will find popular places to grab a fancy dinner as well as the best places to cheap eats. There are also top options by cuisine so you know where to go to find the best bowl of pasta, stop in for a quick slice of pizza, and where to find a great Margarita! I've also pulled together many itineraries to make your planning easier. I've created one, two, three, and other multiple day itineraries so you can see how easy it is to squeeze quite a bit in one day. You will also find tips for fully covering each district in just one day. Want to save this for your trip? Pin it to Pinterest! Beer Festivals: Every year, you will find several fun beer festival in San Francisco. They include the annual Oktoberfest celebration, Brews on the Bay, and the Craft Beer Festival. Click here for a calendar of all beer festivals in SF each year. Food Festivals: We also love our food! This is why our food festivals are so popular. Each year, you can sample food at Eat Drink SF, the Street Food Festival, or Oysterfest at Golden Gate Park. Click here for a full list of food festivals in SF. Festival Calendar: Find a full calendar of SF's festivals and street fairs. It's listed by month, so you can easily find those in San Francisco in April. Click here to check out this year's calendar.